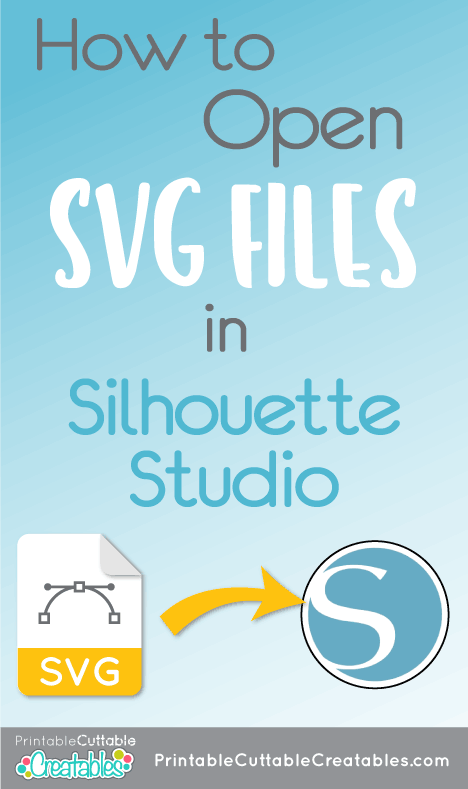 Learn how to Import SVG files to Silhouette Studio! 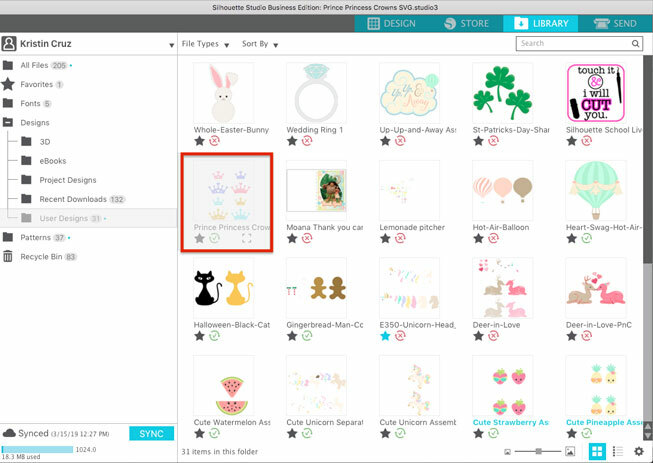 Did you know that you can find cut file designs for your Silhouette machine outside of the Silhouette Design Store? SVG files (Scalable Vector Graphics) are a type of vector file that can be used by most cutting programs, including Silhouette Studio. SVG files are widely available from graphic designers, design marketplaces, and craft bloggers, with many even offering free SVG files (like yours truly). Using SVG cut files from trusted places around the web opens up a whole new world of designs that you might not find in the Silhouette Design Store. Note that the Designer Edition (or higher) upgrade is needed to open SVG files in Silhouette Studio. 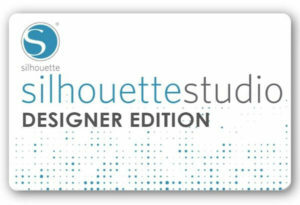 If you have the Standard Edition that came with your Silhouette machine, you can still use DXF files, which many designers include with their SVGs. But, anyone you ask will likely tell you: Working with SVG Files is a lot easier than using DXF files (A LOT easier), so I highly recommend the one-time upgrade to Designer Edition – trust me, it’s worth it!! 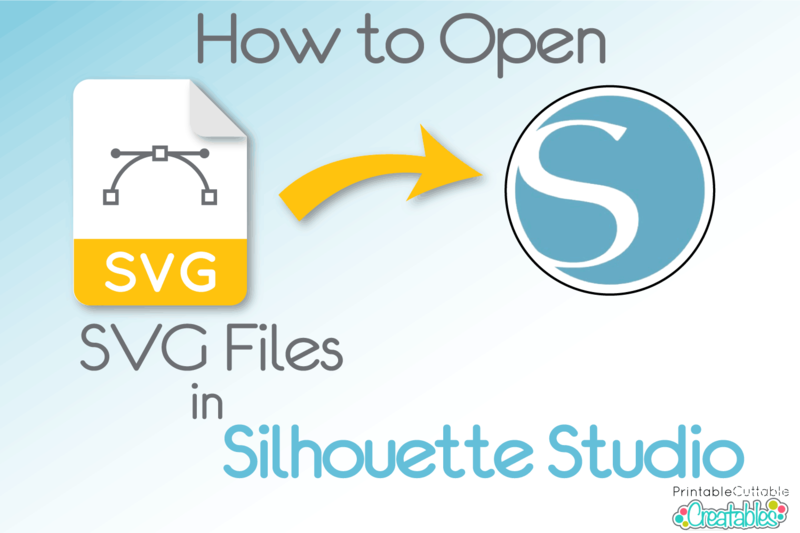 If you’re new to Silhouette, or new to SVGs, here’s a step by step tutorial for how to open SVG files in Silhouette Studio, so you can start crafting! Most SVGs will download as a zip file. After downloading, you will need to unzip to use the files inside. (Learn how to download & unzip SVG files). Drag & Drop: Drag & drop files directly to your workspace or library. 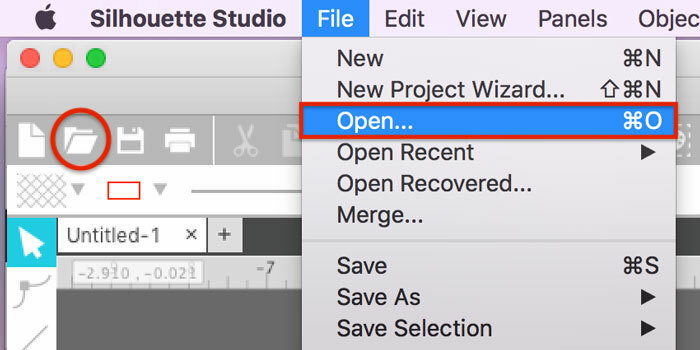 From the Studio top menu, choose File > Open, or click the folder icon on the top tool bar. In the file explorer window that appears, navigate to where you saved the SVG file. Be sure to choose the SVG format file. Some computers may display SVG files using web browser icons (Internet Explorer, Chrome, etc), however they are actually SVG files and should still upload correctly in Studio. You can check for the .svg file extension, or look at file type for “SVG Document” or “Scalable Vector Graphic”) and click “Continue”. The SVG design will now open in your workspace! 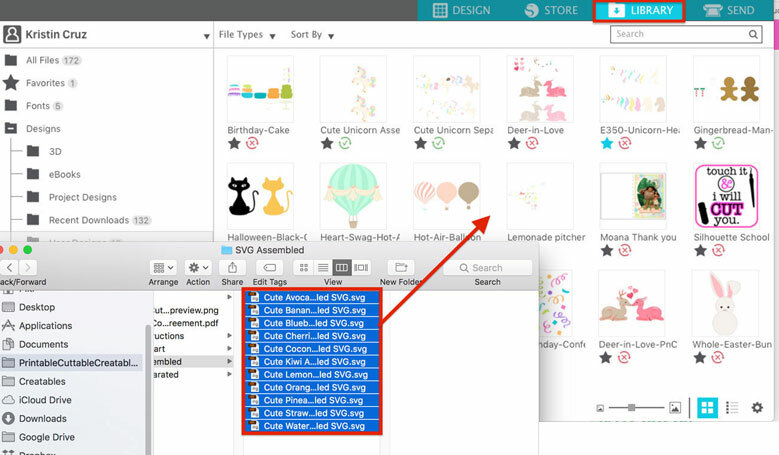 To save any changes you make to the file, choose File > Save, or click the “Save” icon in the top menu. This will save the design as a Studio file (.studio.3) in the same location as the original download, (ie. your computer’s hard drive), It will not replace the original SVG file. If want to add it to your Silhouette Library, choose File > Save as > Save to Library. You can also add an SVG file directly to your Silhouette Library, by choosing File > Import > Import to Library. 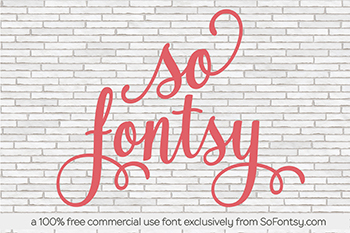 This will save the design in Studio format to your library for future use. Then, just double-click the design you want to use to open it in the Silhouette workspace. 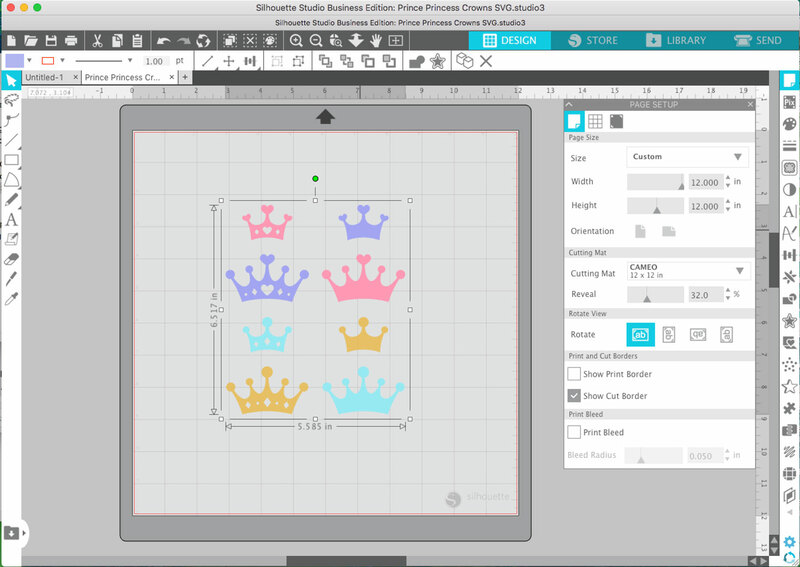 One of the easiest ways to open an SVG file in Silhouette Studio is to drag & drop. For a single SVG file, just drag and drop the file into the Studio workspace! You can also add multiple SVG files to your library at the same time. This is great if you purchased an SVG bundle and don’t want to import each file individually. Just open the folder where the SVGs are saved, select the ones you want to import, then drag & drop them into your Silhouette Library. 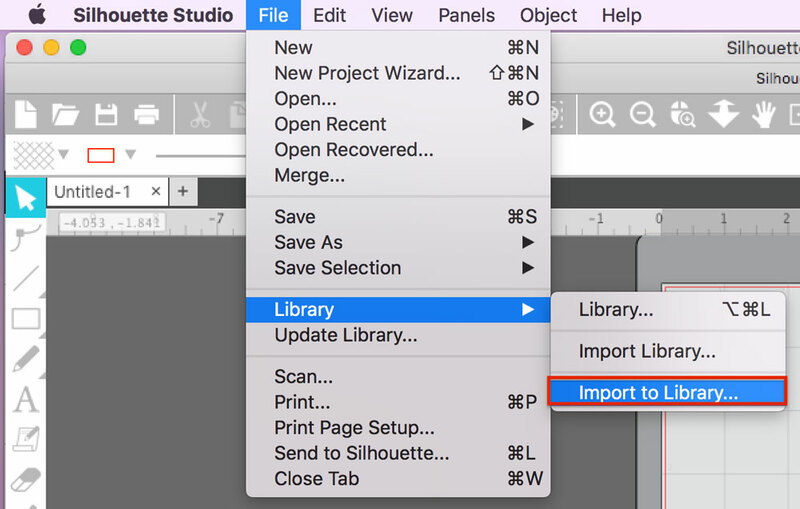 Once the designs are in your library, double-click the one you want to open it in the workspace. You DO NOT need to trace SVG files!! If you have downloaded the SVG file from a reputable designer or blog, then it will be ready to cut when you open it in Studio. 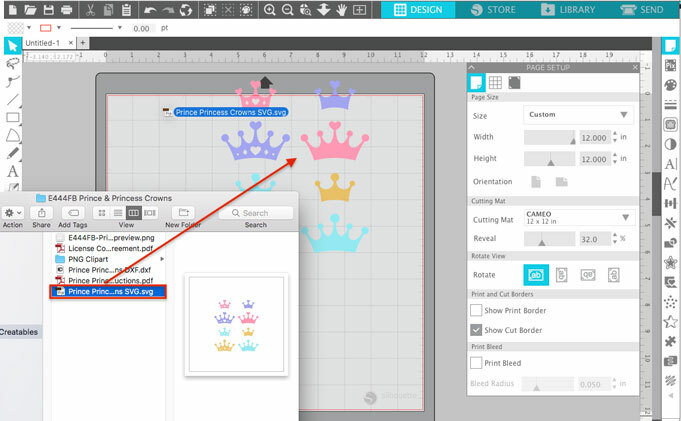 You may be used to seeing cut lines (the red outlines) on designs from the Silhouette Design Store, but depending on how the SVG was saved, it most likely won’t have the cut lines “turned on” by default but they are there….more on that below. 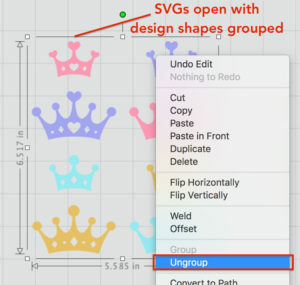 By default, SVGs will open with all design elements grouped together. To work with the design elements individually, you will need to right-click on the design and choose “Ungroup”. You may need to click Ungroup several times depending on how the design was created. Turn on the Cut Lines! When you’re ready to cut, click on the “Send” tab at the far right of the top tool bar. The Send panel will open up, and this is where you will choose the type of material and settings for your particular project. For most SVG files, this is also where you will “turn on” the cut lines. Now you will see the outlines of the design are highlighted in red- this means the cut lines are turned on, and your design is ready to cut! If you open a design in Silhouette Studio and turn on the cut lines, only to see a red box around the design, you’ve actually opened a PNG file, NOT an SVG file. Head back to the download folder and locate the SVG file as shown earlier. If you’re looking for SVGs to use with your Silhouette, take a look at my Creatables shop, which has a growing selection of cut file designs. 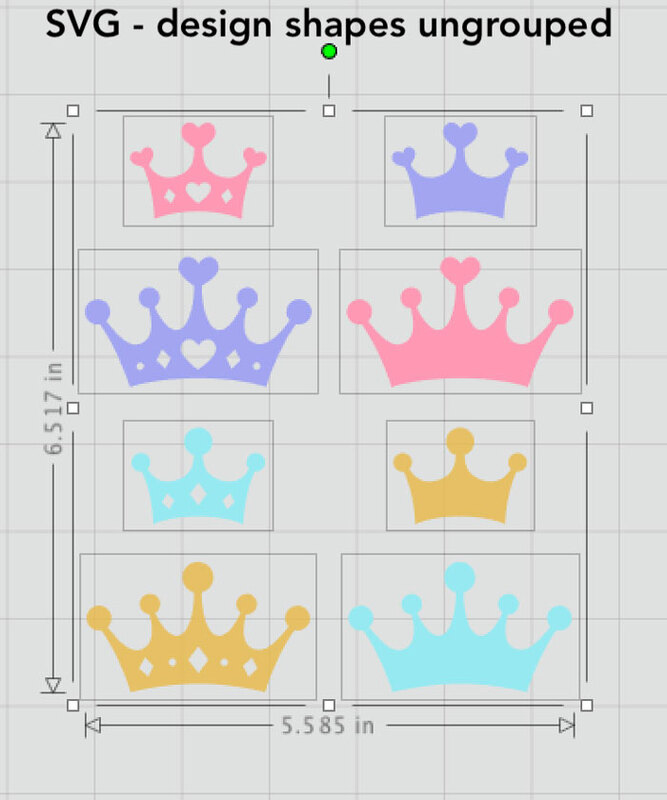 You can find the Prince & Princess Crowns SVG Files shown above in my Freebies section, which also includes over 200 Free SVG Files for Silhouette Studio!